Project type: Field school & archaeological excavation. Suitable for both beginner and advanced students as well as those interested in archaeology and history of the eastern Mediterranean and Europe during the Neolithic and Chalcolithic periods. Site: Prehistoric tell next to the village of Yunatsite, Southern Bulgaria. Period(s) of occupation: Final Neolithic / Chalcolithic, Early Bronze Age, Iron Age, Antiquity and Middle Ages. Project venue: the district town of Pazardzhik, Bulgaria. Major field school topics/activities: Archaeology of Neolithic and Chalcolithic Europe; Excavations of the Final Neolithic/ Chalcolithic (4900 – 4100 BCE) strata of Tell Yunatsite; Prehistoric warfare and ceramics; Archaeological field techniques and methods for excavation and documentation, processing of finds and samples; Excursions to significant heritage sites in Bulgaria. BHF partners in this project: Tell Yunatsite Excavation Team from the National Institute of Archaeology and Museum, Bulgarian Academy of Sciences; Pazardzhik Regional Museum of History; New Bulgarian University (Bulgaria) and Institute for Field Research (IFR), USA. Academic credits available: Students who study in Europe can receive up to 9 ECTS credits through the New Bulgarian University, Bulgaria. Students who study outside Europe can obtain 8 semester credit units (equivalent to 12 quarter units) through IFR’s academic partner Connecticut College. See more details below. Experience required: None for applicants for Session 1 and/or 3. However, applicants for Session 2 are expected to have at least two weeks of archaeological field experience prior to their participation in this session. Special requirements: Participation in the project is not recommended for individuals with solar allergies or other special illnesses that might be exacerbated during the intensive outdoor activities. The average summer temperatures in the area are 25-35° C (77-95° F). Participants should bring clothes and toiletries suitable for hot and sunny weather but should also prepare for possible rainy, windy and chilly days. Participants are also expected to prepare for the dig by reading at minimum the BHFS handbook that will be sent by e-mail before the beginning of the project. Participants will use the tools and equipment available at the site and are not expected to bring any additional equipment. During the 7th and 6th millennia BCE, the Balkan Peninsula was a gateway through which farming, animal husbandry and Neolithization spread from Anatolia and the Near East to Europe. This new population gradually settled down and got familiar with the surrounding region, suitable agricultural areas, raw sources and so on. In the 6th millennium BCE their economy, social organization, trade and cultural contacts evolved, to reach their peak in the 5th millennium BCE. In the beginning of the 5th millennium the earliest metallurgy in European and global prehistory (the processing of copper and soon after, gold) appeared in the Balkans. Thus, this period is known as Copper age, Chalcolithic, Eneolithic or Final Neolithic. The continuative inhabitance of the same suitable places during these millennia led to the formation of a settlement phenomenon, characteristic of the Near Eastern and Balkan prehistory – the multilayered tell-sites. Tell Yunatsite is located near the modern village of Yunatsite in Southern Bulgaria. It is among the biggest tells in Europe with a diameter of approximately 110 m/360 ft and height of 12 m/39 ft above the modern surface. Tell Yunatsite was first excavated in 1939 by the Bulgarian archaeologist Vasil Mikov. In 1976, regular excavations were restarted and have continued on an annual basis. Subsequently, research at Tell Yunatsite has grown into an important research program under the National Institute of Archaeology and Museum, Bulgarian Academy of Sciences. At times, Greek and Soviet archaeologists joined research at the site and today this is an international research effort directed by Bulgarian scholars. The field school will be held for seventh year and is a joint cooperation between Balkan Heritage Foundation (BHF), the Regional Museum of History in Pazardzhik, the Tell Yunatsite Excavation Team from the National Institute of Archaeology and Museum, Bulgarian Academy of Sciences and the Institute for Field Research. To date, approximately one third of the tell has been excavated. This work yielded rich collections of archaeological materials, and the sterile soil has not yet been reached. There is a medieval cemetery at the top of the tell, followed by a Roman period level, two Iron Age levels, another dated to the Early Bronze Age, and finally a Chalcolithic/Final Neolithic level. It is unknown if the cultural history of the tell begins in the Chalcolithic/Final Neolithic period or whether older Neolithic occupation layers exist. The archaeological field school takes place at the Tell Yunatsite lowest excavated layer, which corresponds to the time of Europe’s first prehistoric civilization in the 5th millennium BCE. The intense study of these very first complex societies in Europe began 40 years ago with the excavation of the Varna Copper Age necropolis. That excavation was the first to demonstrate the rise of social complexity in the region. It is during this time that metal processing became widespread and it is the earliest dates for such transformative technological innovation. Data suggest that it is the world’s earliest mass production of both copper and gold (the world’s oldest gold treasure was found in the Varna Copper age necropolis), the first urban settlements in Europe, distinct social and political stratification, and pictograms and characters interpreted by some scholars as the world's oldest script (as on the Gradeshnitsa tablet, for instance). The area of this civilization stretches from Anatolia across the Balkans to the Carpathian basin and the steppes of Eastern Europe. It collapsed around the end of the 5th millennium BCE under the pressure of drastic social and demographic changes, which were presumably caused mainly by climate change but were exacerbated by foreign invasions. Recent excavations at Tell Yunatsite indicate that the Chalcolithic/Final Neolithic period settlement covered an area far larger than the tell itself and consisted of uptown (acropolis?) and a downtown district. The uptown section was surrounded by a five meter wide clay wall and a broad and deep ditch. Buildings in this part were placed closed to each other, creating an almost unbroken urban fabric. The Chalcolithic/Final Neolithic settlement experienced a violent event at ca. 4,200-4,100 BCE. Evidence suggests deliberate destruction by outsiders. Many skeletons of children, elderly men, and women were found scattered on floors, suggesting a massive massacre. Those who survived returned and resettled at the Tell, but soon even they left. At that point, Tell Yunatsite and the area around it were abandoned for more than 1,000 years. During this time, a sterile layer accumulated over the last Chalcolithic/Final Neolithic layer. Excavations in the last years shed new light on the stratigraphy and development of the Chalcolithic/Final Neolithic, and brought new interesting discoveries. Among them are a golden bead and a golden amulet, which are among the earliest golden artifacts in the world. The aim of the project is to provide participants with a theoretical background on the development of Neolithic cultures in Southeastern Europe with a focus on Final Neolithic/Chalcolithic, Europe’s first civilization, and with practical experience in excavating a complex prehistoric tell-site. This field school provides a unique glimpse into the rise and fall of arguably the earliest European civilization. In 2019, field school students will take part in further excavation of the burned Final Neolithic/Chalcolithic layer buildings. Faculty and students will work together and explore why and how did one of the earliest proto urban centers in Europe emerge in the beginning of the 5th millennium BCE, and what are the reasons that caused its collapse 800 years later. There are three field school sessions (two consecutive two-week sessions and one four-week session) available. Each of them covers the following three modules: 1.fieldwork including excavation of the Final Neolithic/ Chalcolithic layers and structures, which includes practicing basic excavation techniques as well as screening, sifting and flotation; the development of archaeological field documentation by maintaining a field journal on a daily basis, filling context sheets and labels, drawing an elevation plan/ a ground plan/ a cross-section, 3D positioning of finds, taking coordinates with a dumpy level, as well as taking photographs at the site; 2) lectures, workshops and field training in prehistoric (with emphasize on Neolithic, Chacolithic, prehistoric warfare and ceramics), and field archaeology, finds processing and documentation and 3) excursions to the Pazardzhik Regional Museum of History on 9 July, 2019; the ancient town of Plovdiv including the Archaeological Museum, Old Town Quarter and major Roman monuments on 13 July, 2019; and Stara Zagora including the Regional Museum of History, Roman monuments and the Museum of Europe's best-preserved Neolithic (5600 BCE) dwellings on 27 July, 2019 as well as the optional tour of Sofia, Bulgaria on 20 July, 2019. Session 1 is an excellent opportunity for beginners. Session 2 is ideal for participants with some (at least two weeks) field experience to develop more skills and competences regarding the field work as well as finds and samples processing; and to attend workshops on 3D intra-site modelling and documentation/GIS spatial analysis in archaeology. Each two-week session includes 10 working days, 1 day for orientation and introduction; 1 day for the excursion; and 1 day-off plus arrival & departure days. Session 3 is a well designed combination of Session 1 and Session 2 with 20 working days, 2 excursion days; 4 days-off (one of them with an optional excursion) plus arrival & departure day. Creation of Field Documentation - Field Journal, Context Sheets and Labels, Ground Plans and Cross-sections, Photographs, etc. All field school participants can join the optional tour of Bulgarian capital Sofia on 20 July 2019 for an additional fee of 45 EUR. Arrival and check-in at Hotel Primavera 2, in Pazardzhik district, Bulgaria by 7.30 pm. 8.00 pm - 9.30 pm - Traditional Bulgarian welcome dinner. Transfers from the Sofia airport may be arranged for an additional fee upon request. Meeting time/point on arrival date: 8.00 pm, Hotel Primavera 2 Reception. * In case of rain, the field school program provides substitute activities including finds' processing workshops and film projections at the hotel. 9 / 23 July 2019: Tour of the Pazardzhik Regional Museum of History, Bulgaria. The tour is covered by the admission fee. 13 July 2019: Plovdiv (the ancient city of Philippopolis) – European capital of Culture 2019. Guided tour of the Archaeological Museum, Roman monuments, and the Old Town Quarter. The excursion is covered by the admission fee. 20 July 2019: Sofia. Optional guided tour of Bulgarian capital including the National Archaeological Museum, the Cathedral, the 4th century rotunda of St. George, and the 6th century church of St. Sofia. The excursion is available to all students for an additional fee of 45 EUR. 27 July 2019: Stara Zagora (the ancient city of Augusta Traiana). Guided tour of the Regional Museum of History, Roman monuments, and the Museum of Europe's best-preserved Neolithic (5600 BCE) dwellings. The excursion is covered by the admission fee. Participants who attend the Session 3 will be able to attend all the tours! Transfers to the airports in Sofia and Plovdiv may be arranged for an additional fee upon request. Anthony D. (ed.). The Lost World of Old Europe. The Danube Valley, 5000 - 3500 BC. New York University and Princeton University Press, 2010. Aslanis, I. Settlement Patterns in the Chalcolithic and Early Bronze Age: the Case of the Prehistoric Settlement of Yunatsite, Bulgaria. – In: Neolithic and Copper Age between the Carpathians and the Aegean Sea. S. Hansen, P. Raczky, A. Anders, A. Reingruber (eds.). DAI, 2015, 395-402 (Archäologie in Eurasien, 31). Balabina, V., T. Mishina. Considering the Destruction of the Latest Eneolithic Village at Tell Yunatsite – In: Boyadzhiev, Y., S. Terzijska-Ignatova (eds.) - The Golden Fifth Millennium. Thrace and Its Neighbour Areas in the Chalcolithic, Sofia 2011, 39-47. Boyadziev, Y. Chronology of Prehistoric Cultures in Bulgaria. – In: Bailey D. and I. Panayotov (eds.). Prehistoric Bulgaria. Monographs in World Archaeology № 22, Madison, Wisconsin 1995, 149-191. Boyadziev Y. Chalcolithic Stone Architecture from Bulgaria - Archaeologia Bulgarica VIII, Sofia 2004, 1-12. Boyadzhiev, Y. Tell Yunatsite: Development and Absolute Chronology of the Settlements from the Beginning of the Chalcolithic to the Early Bronze Age. – In: Neolithic and Copper Age between the Carpathians and the Aegean Sea. S. Hansen, P. Raczky, A. Anders, A. Reingruber (eds.). DAI, 2015, 381-394 (Archäologie in Eurasien, 31). Merpert N. J. The Problem of Transition from the North Balkan Aeneolithic to the Early Bronze Age in the Upper Thracian Valley – In: Europa Indo-Europea, Roma 1994, 41-50. Todorova N., Mazanova V. Late Chalcolithic Ceramic Style at Yunatsite Tell (Approach to the Systematization of the Ceramics from the Newly Excavated Levels) – In: Nikolova L. (ed.) - Technology, Style and Society. BAR International Series 854, Oxford 2000, 331-361. Zäuner, S. The Dark Side of the Chalcolithic. Evidence for Warfare at Tell Yunatsite? An Anthropological Approach – Boyadzhiev, Y., S. Terzijska-Ignatova (eds.) - The Golden Fifth Millennium. Thrace and Its Neighbor Areas in the Chalcolithic, Sofia 2011, 49-56. Boyadzhiev K. Development and Distribution of Close Combat Weapons in Bulgarian Chalcolithic - Studia Praehistorica 14, Sofia 2011, 265 – 281. Boyadzhiev Y. Ethnocultural Interrelationships in the Lower Danube Area during the Second Half of the Sixth and the First Half of the Fifth Millennium BC (According to Evidence from Cemeteries) - Studia Praehistorica 14, Sofia 2011, 205 – 223. Grant J., Sam Gorin and Neil Fleming. The Archaeology Coursebook: an Introduction to Themes, Sites, Methods and Skills. Routledge, 2008. McIntosh, J. Handbook to Life in Prehistoric Europe. New York, 2006. Merpert N. J. Bulgaro-Russian Archeological Investigations in the Balkans. Ancient Civilisations from Scythia to Siberia – In: International Journal of Comparative Studies in History and Archeology, Vol. 2, N 3, Leiden 1995, 364-383. Todorova N. The Ornamentation of Late Chalcolithic Pottery from Yunatsite Tell, Pazardzhik District - – In: Nikolova L. (ed.) Early Symbolic Systems for Communication in Southeast Europe.BAR International Series 1139, Oxford 2003, 291-311. Project venue: Hotel Primavera 2 in the district town of Pazardzhik (45000 inhabitants). The town is located in Thrace, Southern Bulgaria, 100 km/ 62 mi away from the Bulgarian capital Sofia. The distance from the town to the site is approx. 10 km/5.5 mi, approx. 15-20 min drive. A daily BHFS shuttle/car service is arranged for the participants to bring them to the site and back to the hotel. How to get there? : If participants arrive at the Sofia airport, a shuttle (only for Sessions 1 and 3) or taxi transfer to the field school venue in Pazardzhik may be arranged by request. Individual or group transfer taxi prices may vary, depending on the number of passengers, from 25 to 75 EUR. The shuttle fee is 35 EUR per person. Participants who arrange their travel individually will be expected to arrive at Hotel Primavera 2 on the arrival day by 7.30 pm. Pazardzhik may be reached by train and bus from Plovdiv (30-50 min) and Sofia (approx. 1 ½ - 2 hrs). A detailed travel info-sheet will be provided to enrolled students. Visa requirements: Citizens of EU, EEA, USA, Canada, Japan, Republic of Korea, Australia and New Zealand do not need a visa to visit Bulgaria for up to 90 days. Citizens of all other countries may need a visa.The Balkan Heritage Foundation can send an official invitation letter that should be used at the relevant embassy to secure a visa to the program. For further details please visit our Visa information page. Accommodation: In comfortable rooms with two to three beds (bathrooms with shower and WC, TV, a/c and free Wi-Fi) at the Hotel Primavera 2. The hotel is located in the central pedestrian and shopping area of Pazardzhik, very close to everything that the town can offer to tourists (shops, pharmacies, banks, markets, taverns, restaurants, bars, hospitals, cafes, post offices, tourist attractions, parks etc.). There is cheap laundry service available at the archaeological site. Participants are not expected to bring any additional equipment, bed linens or towels. Single rooms are available upon request for the supplement of 110 EUR per week. Staying an extra day at the hotel costs 25 EUR (per night per person). Meals: Three meals (organic Bulgarian homemade food) per day are covered by the admission fee. During the workdays, breakfasts, lunches and dinners usually take place at the site's premises. The meals during the weekends (except the brown-bag lunches during the excursions) take place at the hotel’s restaurant. This field school can accommodate vegetarians, vegans, and individuals with lactose intolerance. Kosher and gluten-free diets are impossible to accommodate in this location. Participants must pay on their own for extra days and for single room accommodation as well as for extra meals, beverages, services and products. Free time: Possible leisure activities during the siesta and days off in and around Pazardzhik are: swimming in/sunbathing around the swimming pool, hiking in the Rhodopi Mountains, wine-tasting at one of many local wineries, visiting local tourist sites, traveling by the narrow gauge train to Velingrad (popular spa and wellness town) or shopping and sightseeing in the neighboring city of Plovdiv. Extra trips and excursions: The BHFS participants can take advantage of their stay in Bulgaria and take part in the optional excursion to the Bulgarian capital Sofia on 20 July 2019 for an additional fee of 45 EUR. Insurance: The admission fee does not cover insurance. It is mandatory to arrange your own health insurance before your trip to Bulgaria. All EU citizens can use Bulgarian medical services, as long as they can provide evidence of their home-country health insurance with a card/certificate, etc. Weather: South-European (Transitional Mediterranean to Continental) climate with hot summers (30-40° C, 86-104° F) dominates in the region. Rainy and chillier days in this season are not unheard of. Medication - only prescription medicines you may need since you can buy all basic non-prescription drugs in Bulgaria. A converter to EU type electricity wall-plug if needed. Excavation & documentation tools and materials, as well as working gloves are available at the site! The admission fee is valid only for students who enroll in this field school through the Balkan Heritage Field School (BHFS). 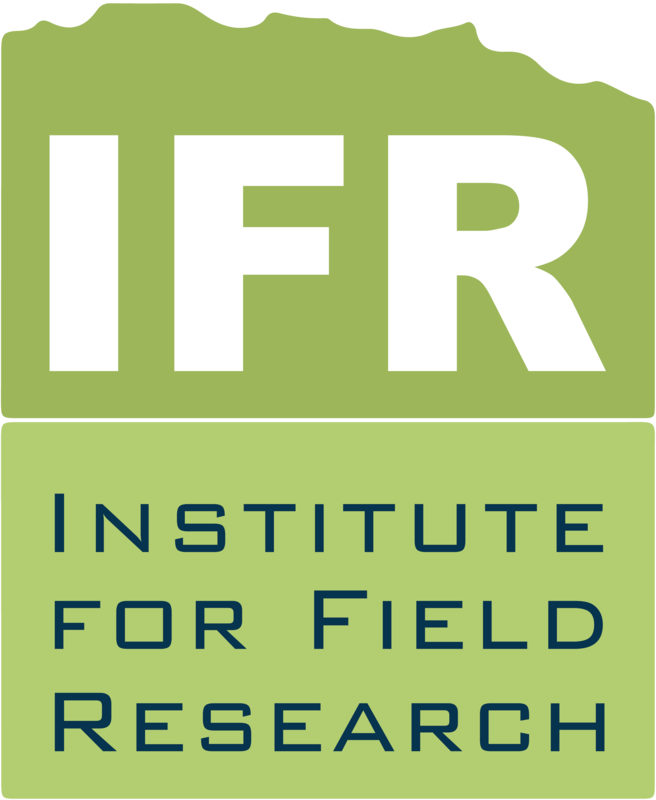 Students wishing to benefit from the advantages of the BHF-IFR Program for the Balkans must apply through the Institute for Field Research (IFR), USA and pay admission fees corresponding to the IFR's terms and conditions. BHFS admission fee includes: Educational and fieldwork activities, full-board accommodation (hotel + 3 meals per day), tools, materials, project handbook and issue of Certificate of Attendance, administrative costs and excursions included in the field school program plus relevant entrance fees. The fees in USD are approximate. Please check current exchange rates! - Online transfers via the Balkan Heritage virtual POS Terminal. VISA, MASTERCARD & MAESTRO cards are accepted. For further information contact Admissions Office at: [email protected]! Participation in any BHFS project in the past. Group participation (three or more people, who participate together in one BHFS project in 2019). The discount is valid for each participant. BHFS alumni, who participated successfully in a three or four-week session of the same project in the past. 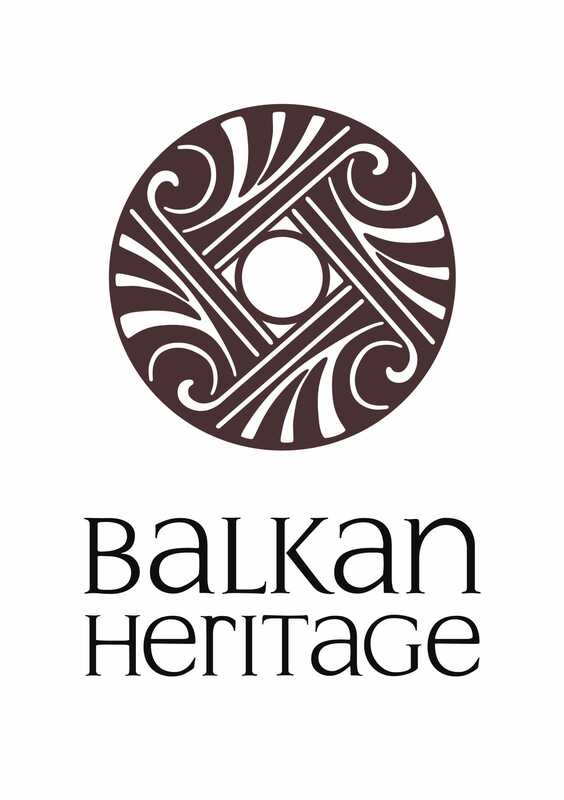 NOTE, 5% OF EVERY ADMISSION FEE FOR THIS PROJECT DIRECTLY SUPPORTS THE BALKAN HERITAGE PROTECTION FUND'S ACTIVITIES! Students who study in Europe (EU, EEA, CH, Russian Federation and countries from the Western Balkans, Eastern Europe and Southern Caucasus): New Bulgarian University grants 6 ECTS credits to students for attending any of two-week sessions (1 and 2) and 9 ECTS credits for attending the four-week session (3). Transcripts of Records (ToR) are available upon request for an additional tuition fee. For details: Regulations for Obtaining Transcripts of Records. Students who study outside Europe wishing to obtain academic credits for attending the four-week session of this field school project must apply to the BHF-IFR Program for the Balkans and enroll through the Institute for Field Research (IFR), USA. They will be awarded 8 semester credit units (equivalent to 12 quarter units) through Connecticut College and will receive a letter grade. The tuition fee is included in the IFR admission fee.